This corner shop is facing the main road, same stretch with UOB, Pathlab and Maybank Pudu. During the day, it's a regular Chinese coffee shop where you can find noodles and economy rice. At night, it's the popular Claypot Chicken Rice. It gets really busy at night, with tables placed outside Maybank too. 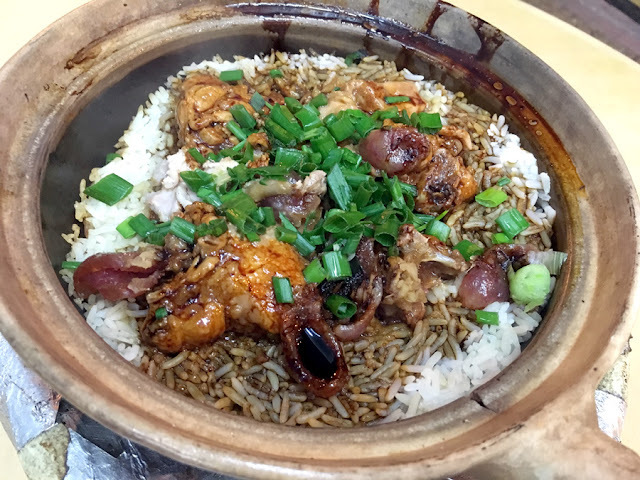 Claypot Chicken Rice with Chinese Waxed Sausages topped with salted fish and garnished with spring onions. Portion for small costs about RM12? 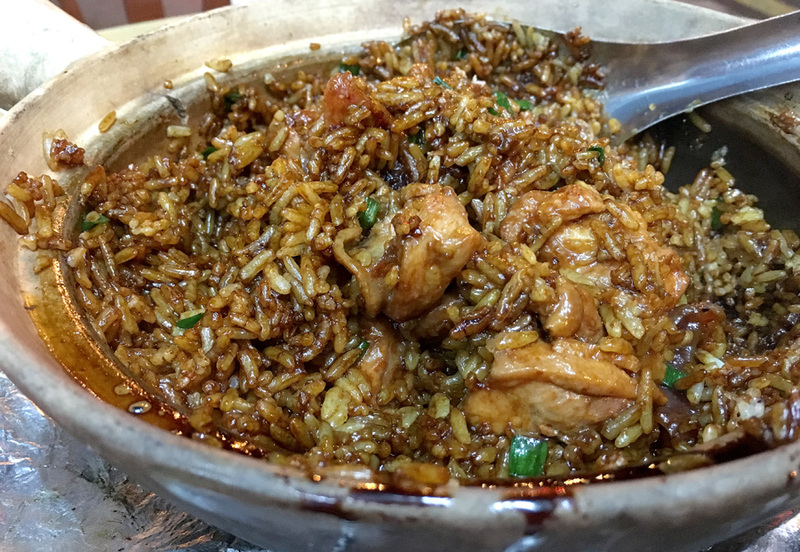 The small portion is enough to feed two of us. The rice is cooked the traditional way, by using charcoal fire. 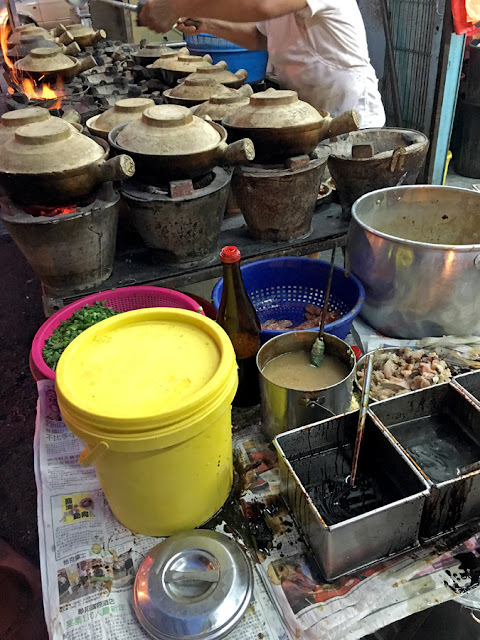 This is one of those places which is popular in Pudu for night eats. 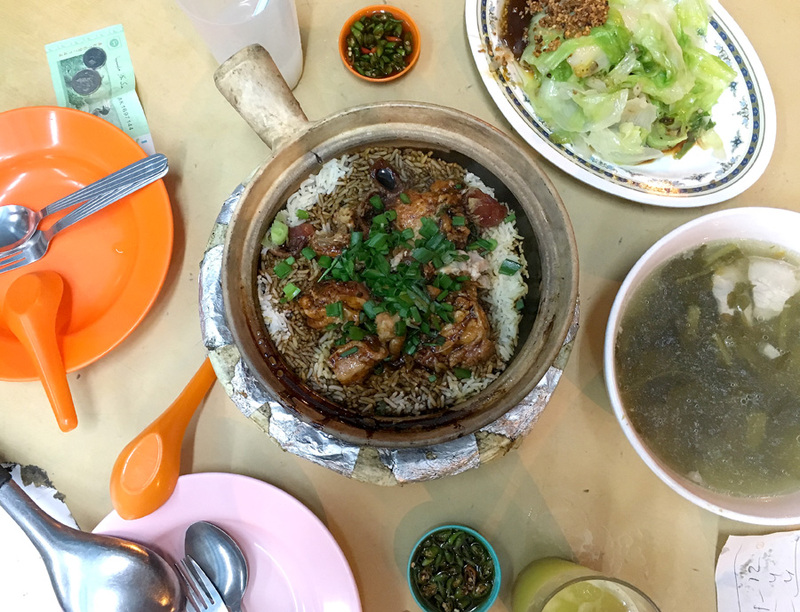 Just a few shops away, you'll find the famous Pudu Wai Sik Kai (Food street). 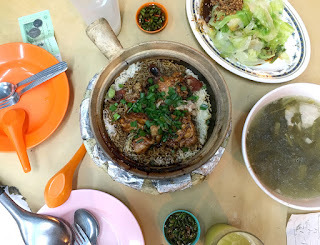 Meal for two with vegetables and boiled watercress soup costs only about RM20 excluding drinks.